In Alice K. Boatwright's first mystery, Under an English Heaven, life brings the skeptical American Ellie Kent to an English village as the vicar's new wife; but death keeps her guessing how long she'll be there. Ranked Amazon's #1 cozy mystery in January 2015, Under an English Heaven is the first Ellie Kent mystery - and, yes, more are to come! 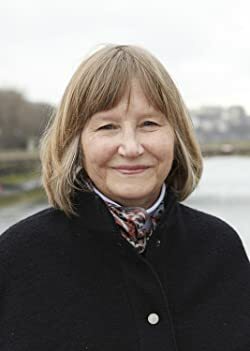 A widely published short story writer, Alice is also the author of Collateral Damage, three linked novellas about the long-term impact of the Vietnam War. Collateral Damage was a finalist for the Flannery O'Connor Award and received the Bronze Medal for Literary Fiction from the 2013 Independent Publisher Book Awards. Please enter your email address and click the Follow button to follow Alice K. Boatwright! In this trilogy of stories about life in the San Juan Islands, a teacher fantasizes about her favorite author to ease her loneliness, an islander finds love with a precariously sober alcoholic, and a young couple has to make sacrifices to keep their dreams afloat – but all find strength and inspiration in the sea, sky, and islands.